I am often asked, how do I find time to read? How do I read so much? I wanted to share with you why I read and have always read books, why I started reviewing books, and why I am still finding the time to do it. I have always been a reader. I was the only child at home growing up since my sisters were so much older than me. There is only so much you can do as a kid at home by yourself. Reading was the natural choice. We always had plenty of books at home and I made lots of trips to the library as well. I continued reading through my teenage years and into early adulthood. For awhile, I was into reading every Danielle Steel book that came out. Then once I was married and started having children, my reading changed a bit. 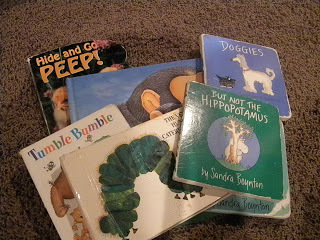 I started reading to our children. Even as infants, every night we would rock and I would read books to them. We had our favorites and we would throw in a new one every once in a while. That became our routine. Reading to the kids and rocking them and then ending by singing songs to them until they were asleep. Just thinking of those days warms my heart. It was my favorite time of the day. 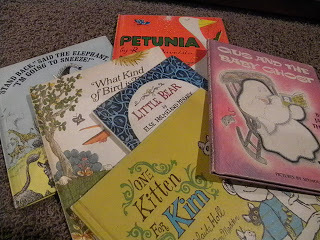 Soon my husband and I knew the books by heart and the kids did too. Patrick surprised us by reading at age 4. We thought he was just memorizing the words on the page and so we gave him a book he had never read, and sure enough he was reading. Reagan also was an early reader at age 4. Bennett had more trouble with reading but once he got the hang of it, he sped right on ahead. 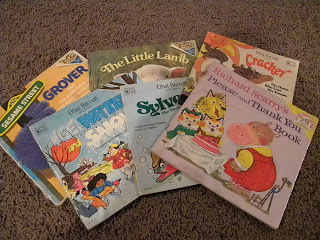 Some of the ones we read over and over again to the kids. As the kids have gone through school, they have continued with their love of reading and so have I. I wanted them to see me reading and model that behavior of “always having a book”. When we go for a long drive, I’m sure they kids would say that I holler, “Grab your book.” If they aren’t going to look out the window anyway, I would much rather than have their head in a book. Through their years in elementary school, we have come to realize that Spelling seems to come easy to them. Either Patrick or Bennett has won their Spelling Bee at school for the last 5 years. Now they are off to the middle school and it will be Reagan’s job to carry on the title. Reagan even won her first classroom spelling bee this year. I absolutely attribute this to reading. When you are reading old and new words, they start to stick in your brain and spelling just comes easy. Of course, my husband would say it is also hereditary (he was a champion speller as well). But, reading books will surely set you up for success in comprehension, grammar, spelling, and composition. You can’t go wrong being a reader. 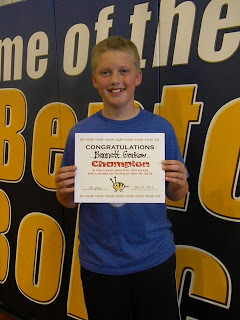 Bennett after winning the 5th/6th grade Spelling Bee this year. A few years ago when I realized there were places I could post reviews of books, I became excited. I have always loved telling people about the books I read, and now I could do it on a bigger scale. 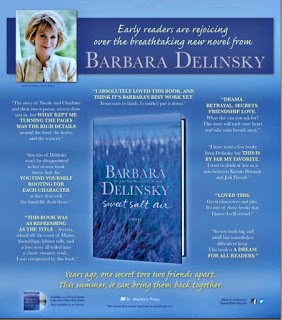 I already had a blog started and found that I could actually post reviews there and then publishers started sending me books, and the rest is history. I recently was contacted about having a quote from one of my reviews used in an NY Times ad. They stated that due to space issues, they likely wouldn’t be able to give me the credit for the quote by using my name. At first, I was miffed, but then when I took a moment to really think about the reason behind why I review books, it didn’t matter. My reviews are also being printed in our Sunday newspaper and no, I don’t get paid…yet. I don’t review books for the notoriety. I review them to share my love of reading and encourage others to read. If my review or my quote, helps someone decide that they would also want to read this book, then my job is done. It isn’t about whether I was quoted, paid, or praised. It was that someone bought or checked out a book, opened it, and started reading. Mine is the top left quote. So, why do I read….I read because I love to read, I read because it is important to me, I read because I want our children to be readers, I read because it works my brain, and I read because through a book you can live your dream, find yourself, laugh and/or cry…all in the same book. It passes the time and stops all time. You can read anywhere at any time. All you need is a book. There is so much to learn, see and do….in the pages of a book. I hope that you after you have read one my reviews, you stopped by the bookstore or your local library and picked up that book and read it. We may not have felt the same way about it, and that is what is so fabulous about books. We don’t all have to agree on how we felt about the book. We just have to agree on a love of reading! I hope that you are sharing your love of reading with someone today.